This is a zoom-in image of a portion of NGC 3582, which is is a minor nebula in the Sagittarius arm of the Milky Way galaxy. 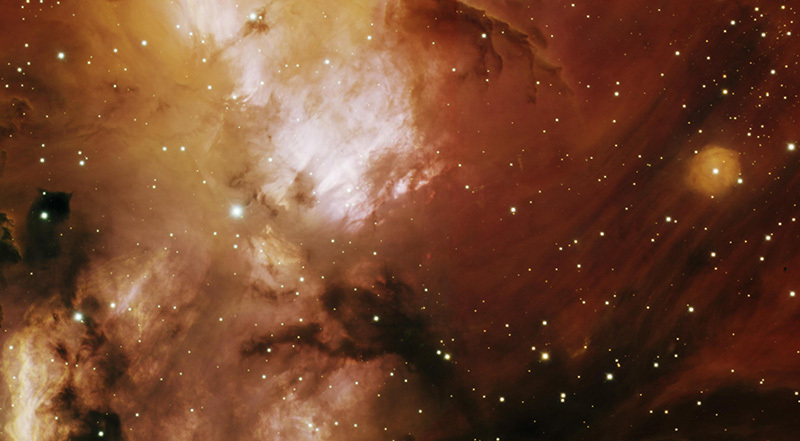 It is part of star-forming region RCW 57 in Carina. 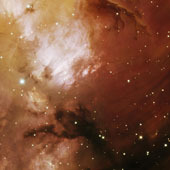 A wide-field image of this object from the CTIO 4-meter telescope is also available on this website.